This is an incredibly useful feature available to HuntScore Pro members. For only $10/mo you'll have the ability to create unlimited custom maps. 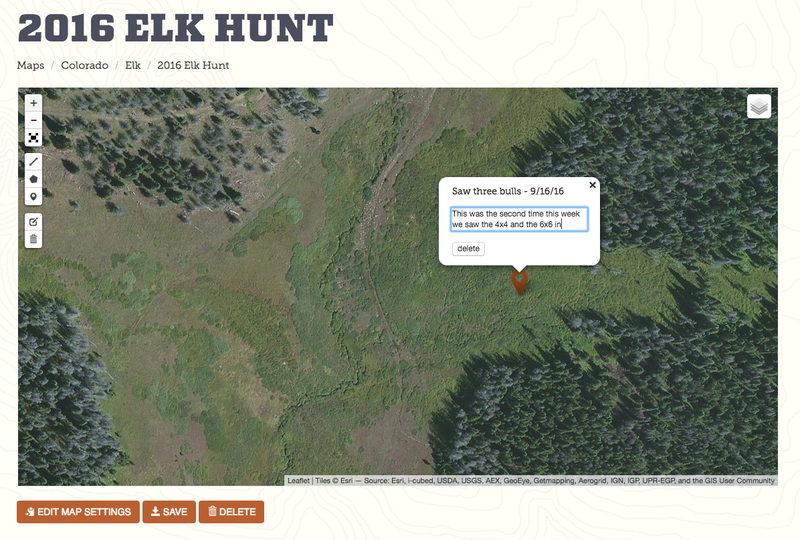 Scout your hunting area, drop markers, plot routes, and save for your hunting trip— hunt planning made easy. When you're logged in to your HuntScore Pro account, you'll see quite a few additional features not available to an unauthenticated user. One of those features is the ability to clone and save any map on the site. 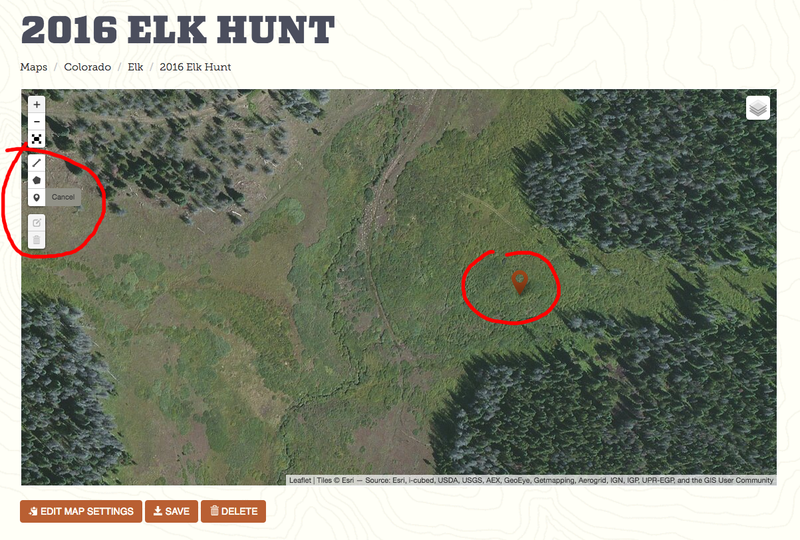 To get started, locate the icon on the map and click it. Create a unique name for your map. After you save your map, it will be added to your map library, and you'll want to give it a name that will make sense when you have many maps in your library. 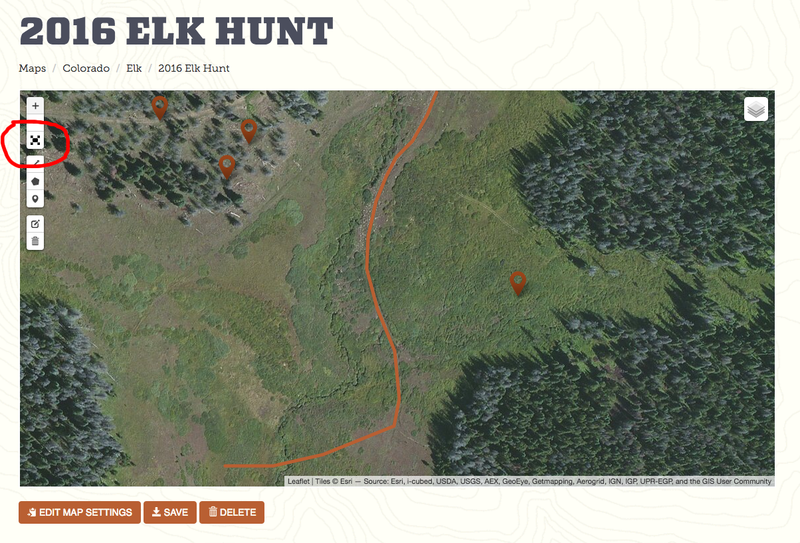 We'll call this one "2016 Elk Hunt." Mouse over the layer icon at the top right of your map. Here you'll see the map layers available to you. 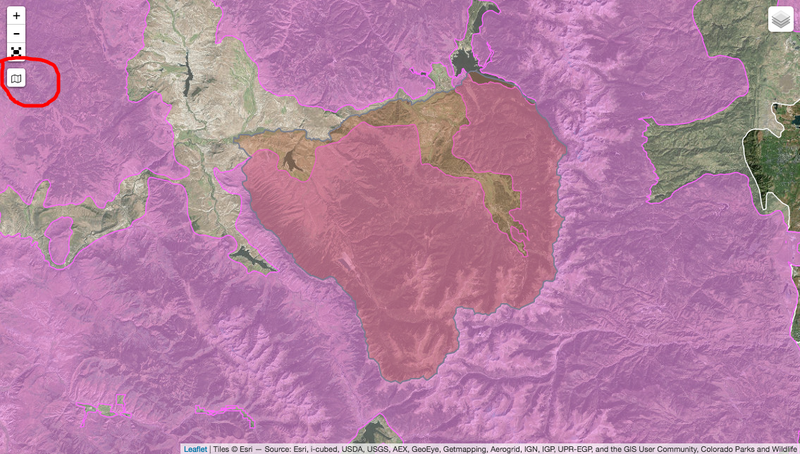 You can change the base map from terrain to satellite or to topographic map views. 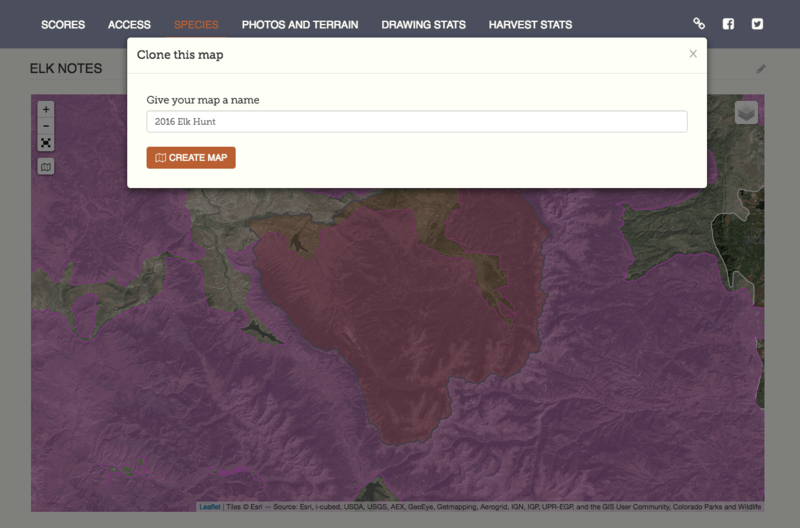 You can also toggle any available species-specific layers. Finally, use the slider to adjust the opacity of the overlays if desired. 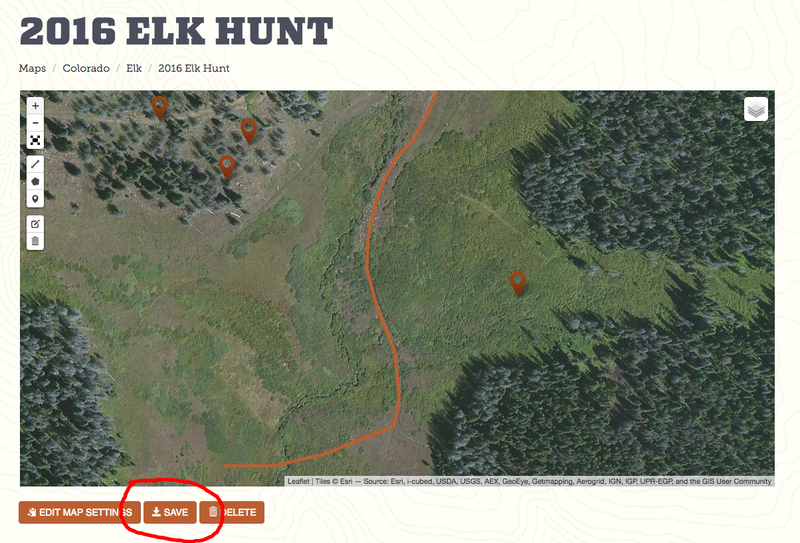 Next take a look at the toolbar on the left side of your map. Here you have tools to add points, polylines, and polygons. After you create a new data point, you can give it a title and leave comments. 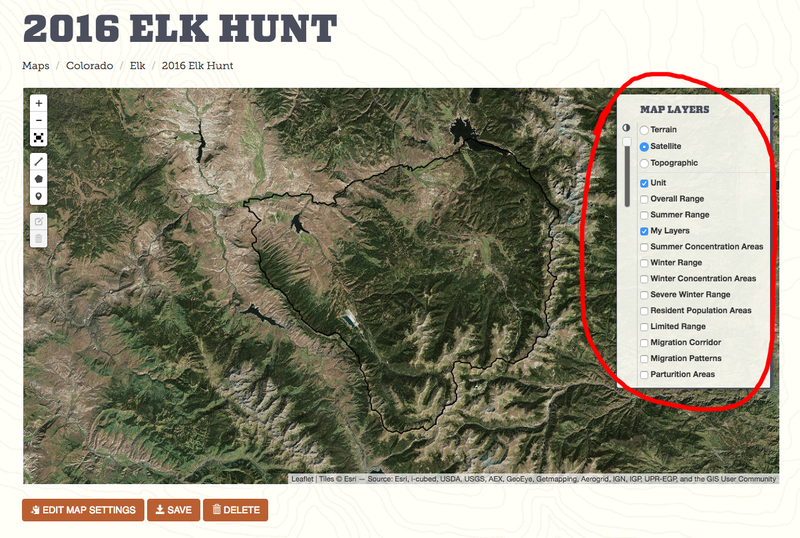 One of the best features of the mapping service is the ability to toggle your map with the fullscreen icon. Clicking this icon will bust your map out of the main website container and fill your entire screen with mapping goodness. Hit the ESC button on your keyboard to return back to the website and exit fullscreen mode. When you're done, be sure to save your map. Once you do this you'll be able to come back to it at anytime to continue editing. 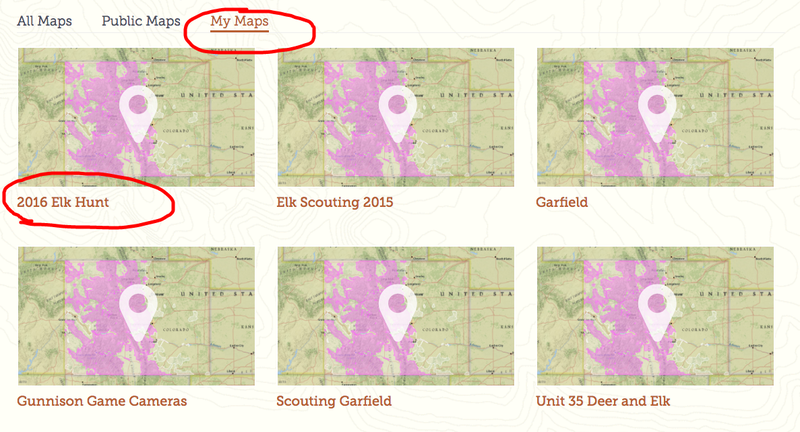 Now anytime you want to retrieve any of your custom maps, click on the "Maps" tab in the main site navigation and then click "My Maps." 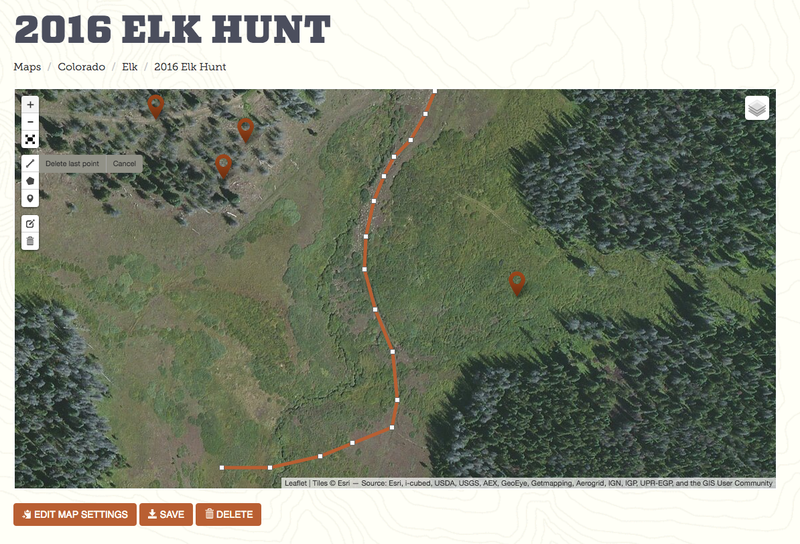 Here you'll find all of the custom maps you've created on the HuntScore website.